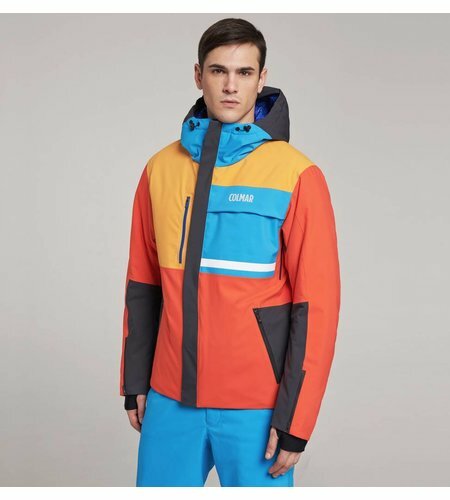 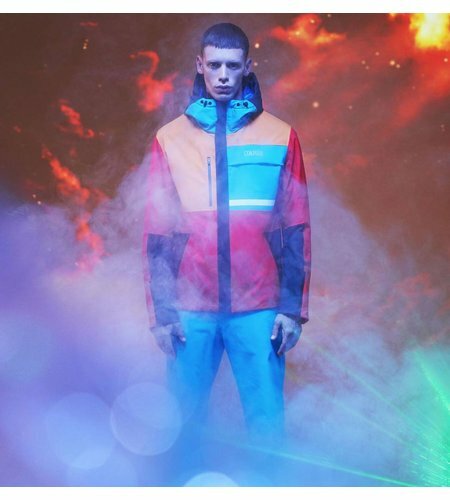 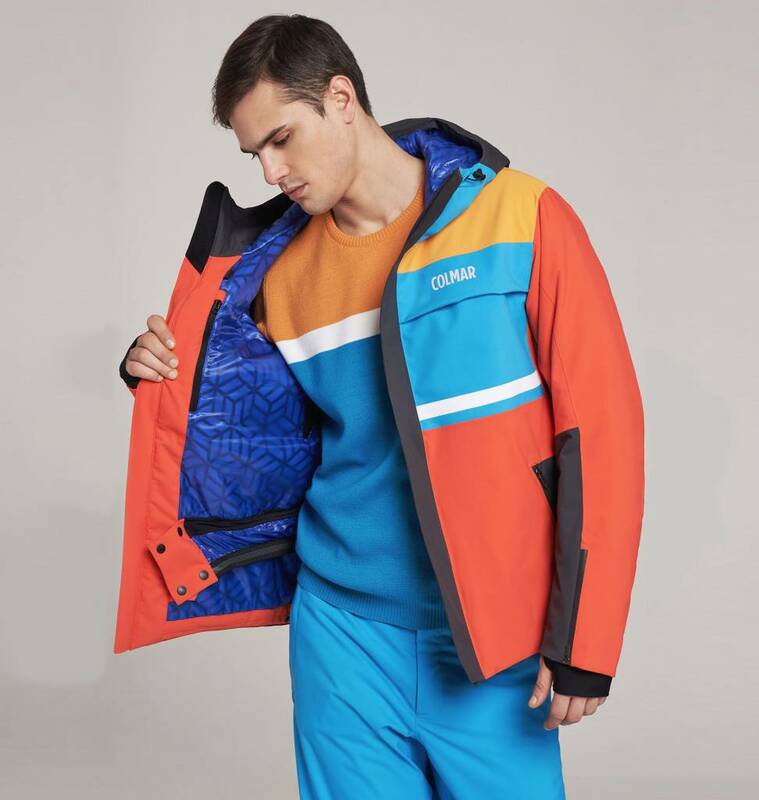 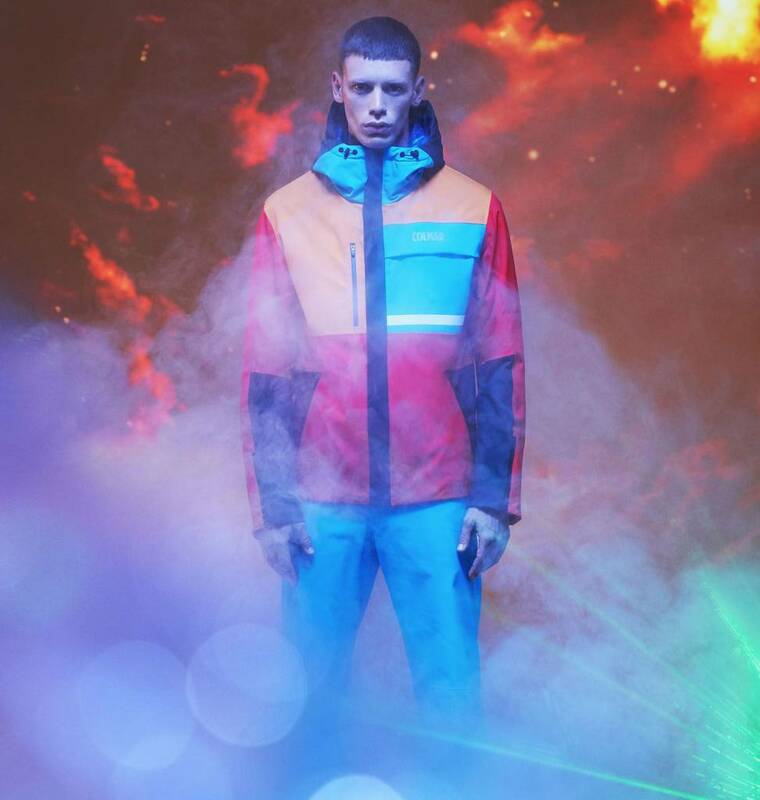 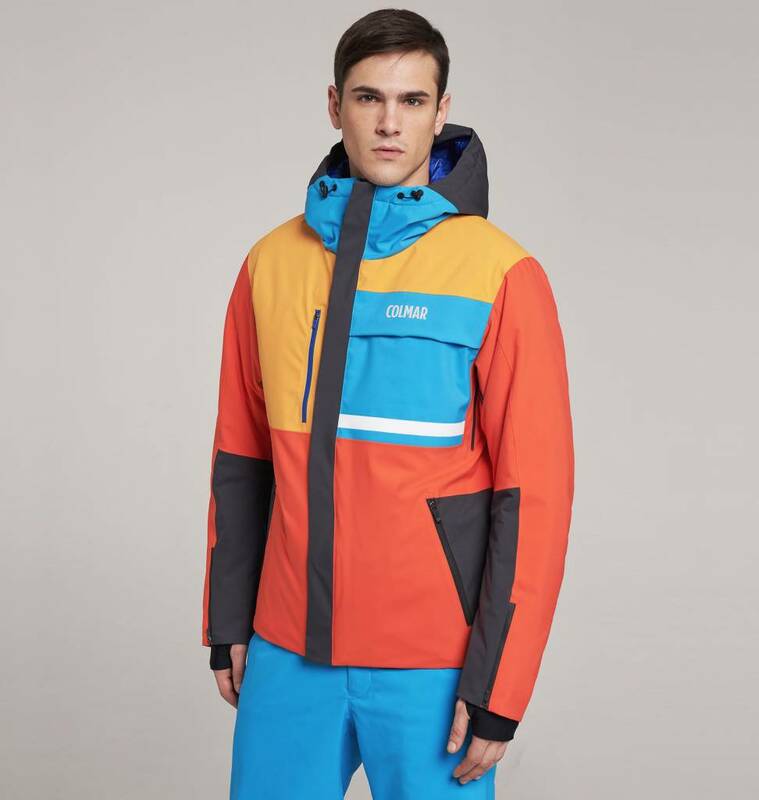 This men’s ski jacket from the Spacerace capsule collection boasts a vibrant colour-block motif in homage to the Colmar line from the 1980s. 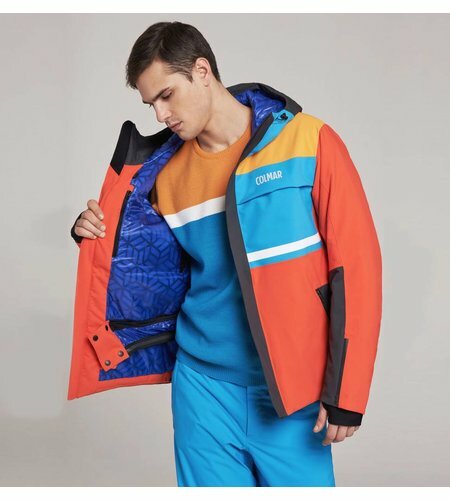 Made with mechanical stretch fabric, padded with ThermoColmar wadding, and the G+ graphene® print transfers body-generated heat from the warmest to coldest parts of the body, offering a pleasantly comfortable feel and better blood circulation. 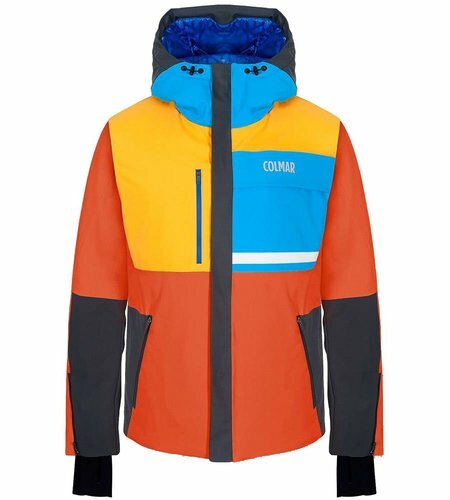 Partially heat-sealed and laminated with breathable and waterproof technical membrane (15,000 mm water column). 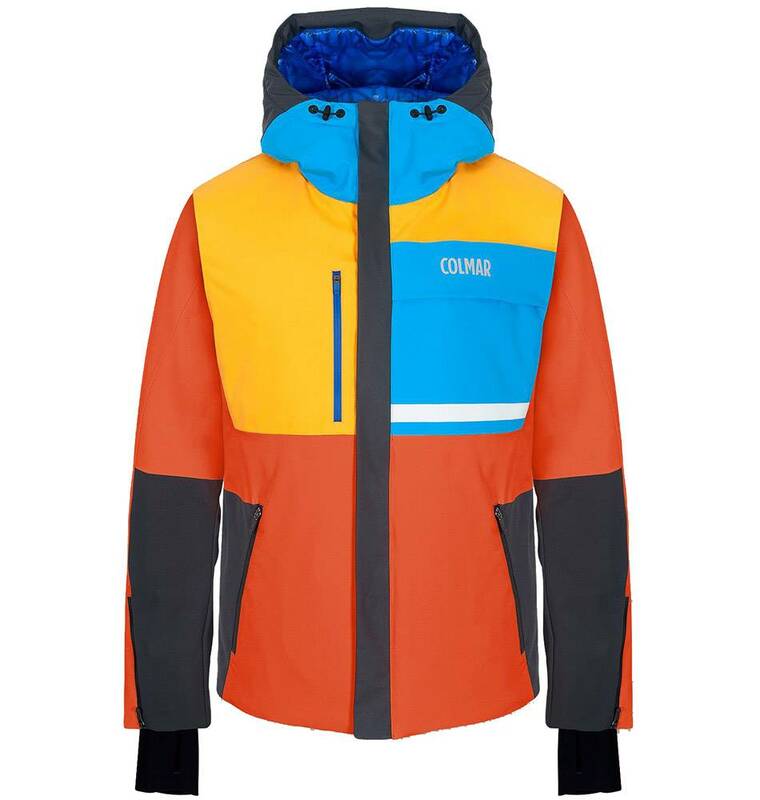 Item is complete with Recco® reflectors allowing the wearer to be traced in the event of an avalanche.